P4x32ML model represents all-metal body. It is more resistant in operation. Сonstruction of a scope is developed accounting dynamic loads, appearing on shooting. 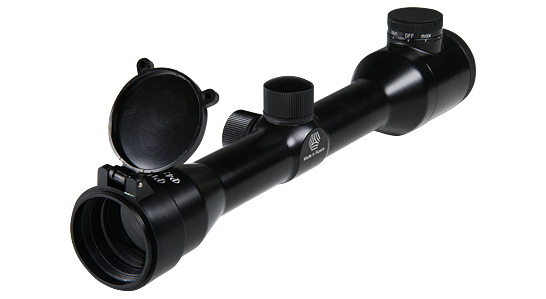 The length of fitting part of the scope is longer; it allows choosing optimal support and provides necessary distance from eyepiece of the scope to shooter’s eye. Illuminated red reticule of P4x32ML has got 9 brightness levels. Illuminator block is located under the screw threaded cover (power supply CR 2032 is used).